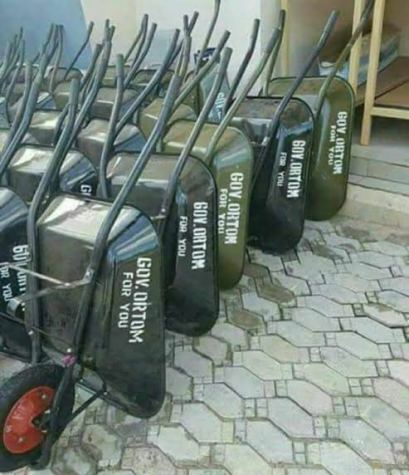 Photo of the day: Wheelbarrows donated to Benue state residents by the state government – Royal Times of Nigeria. The wheelbarrows were handed down to the beneficiaries yesterday. Job creation you say, Lol!